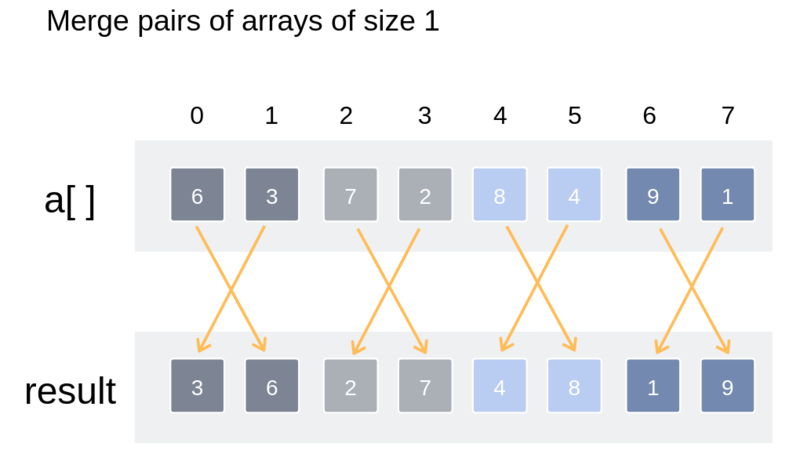 Merge sort is one of the most efficient sorting algorithms. It works on the principle of Divide and Conquer. 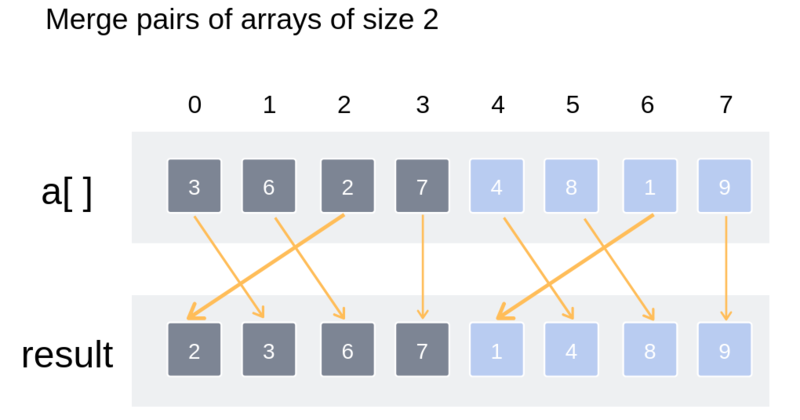 Merge sort repeatedly breaks down a list into several sublists until each sublist consists of a single element and merging those sublists in a manner that results into a sorted list. 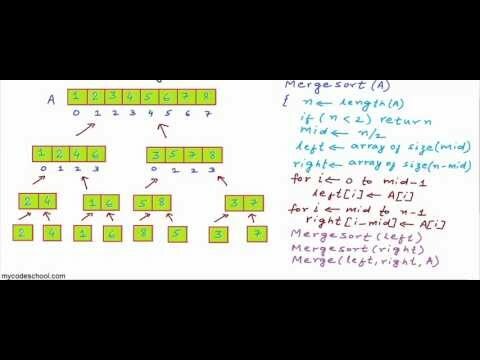 The top-down merge sort approach is the methodology which uses recursion mechanism. 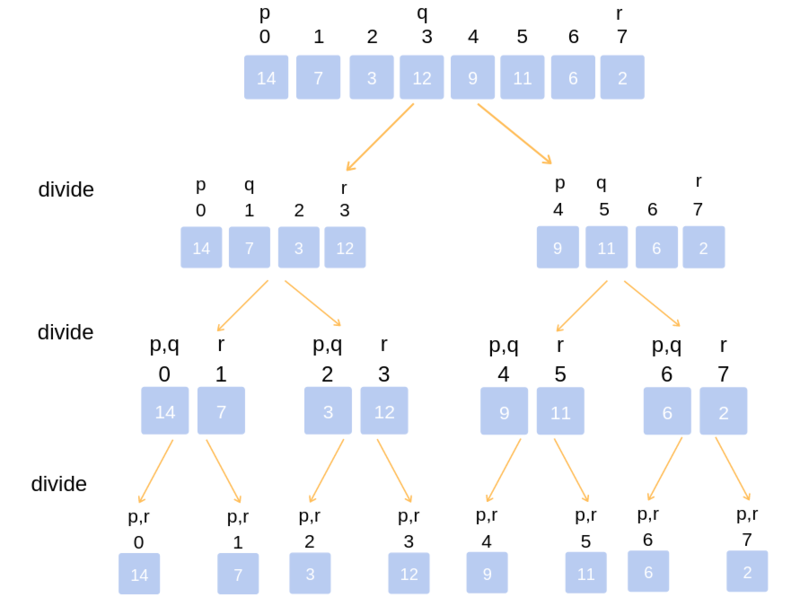 It starts at the Top and proceeds downwards, with each recursive turn asking the same question such as “What is required to be done to sort the array?” and having the answer as, “split the array into two, make a recursive call, and merge the results.”, until one gets to the bottom of the array-tree. Example: Let us consider an example to understand the approach better. Divide the unsorted list into n sublists, each comprising 1 element (a list of 1 element is supposed sorted). The first element of both lists is compared. If sorting in ascending order, the smaller element among two becomes a new element of the sorted list. This procedure is repeated until both the smaller sublists are empty and the newly combined sublist covers all the elements of both the sublists. 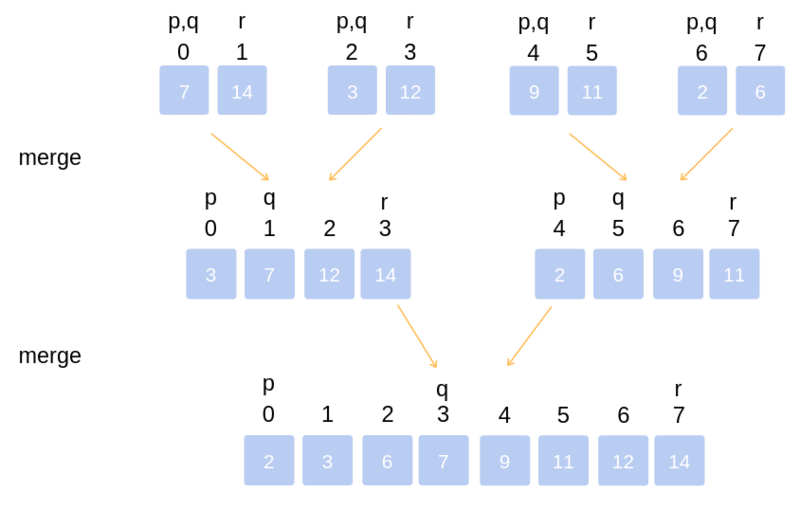 The Bottom-Up merge sort approach uses iterative methodology. It starts with the “single-element” array, and combines two adjacent elements and also sorting the two at the same time. 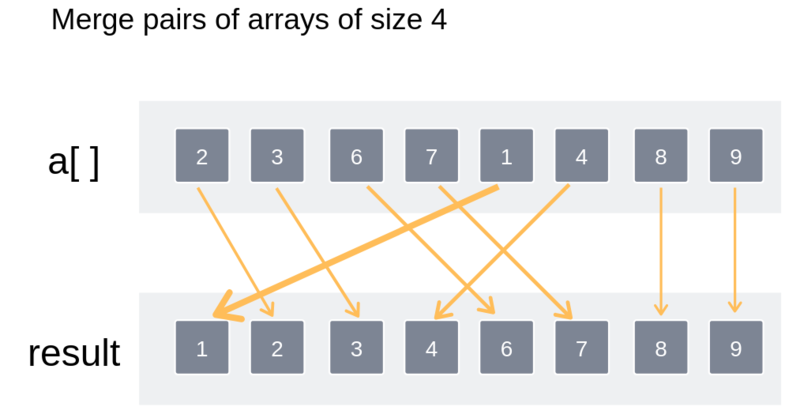 The combined-sorted arrays are again combined and sorted with each other until one single unit of sorted array is achieved. Example: Let us understand the concept with the following example. Thus the entire array has been sorted and merged.